Last week’s SmartTip from SmartPak about properly adjusting the surcingles on a winter blanket was so popular that we’ve rounded up ALL of SmartPak’s blanketing tips in one place for you to save as a reference! For those of us who blanket our horses out of choice or necessity, it’s important, of course, to get the right blanket for the job with the right fit. But even after making the proper selection of blanket, there are plenty of other places where it’s important for us to get the adjustments just right for our horse’s comfort and safety. 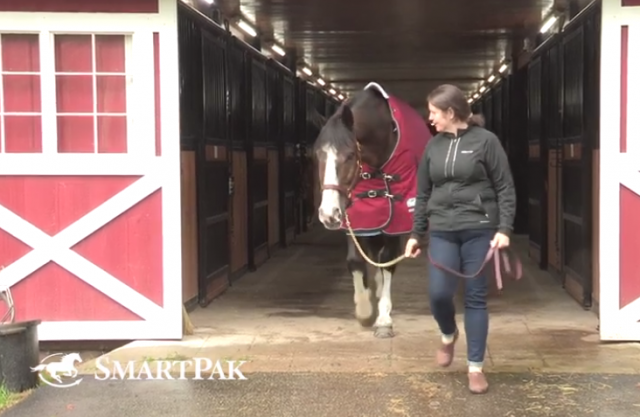 To help us all get through winter with the best fitting blankets possible, here are more SmartTips from SmartPak! Bookmark this page so you can have the best cared-for blankets in the barn!